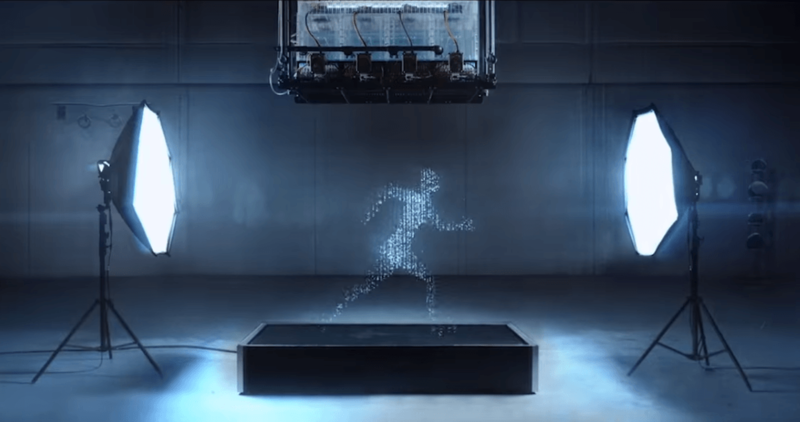 Gatorade has released a commercial that features an animated 3D man made of water. Nothing special, you may think. But the man was literally made of water, without the use of CGI. The “waterman” is running, jumping and kicking, making you wonder “what if your water was as active as you.” They have also released a short BTS video, showing just how much effort they have invested in making this fantastic advertisement. The commercial states at the very beginning that all content was captured in camera. In the BTS video, the team explains how they made the technology for creating the 3D water character. It doesn’t exist, so they needed to build it from scratch. There are thousands of nozzles releasing water at a specific time. The droplets needed to be frozen in time using cameras and flashes, and all needed to be synced perfectly. They mention using motion capture to help them bring the character come to life, and I assume it was for calculating the movements of the nozzles and the position of the water droplets. The floor is covered with some kind of a mesh, so there isn’t a large splash when the water hits the ground. So the active 3D character is actually a bunch of real photos of water animated in a video sequence. There’s one thing bothering me, though, and that’s the kick near the end of the ad. Considering that the bag moves like it was actually kicked, I assume it wasn’t pulled off only by splashing the water from the nozzles above. But nevertheless, the whole commercial is still pretty impressive, and I admire the team for the idea and the effort they made to create the technology and the video.